This guide will walk you through the correct procedure of connecting to the internet using our Connect application inside your home network. If you don't have the Connect app, see the article: How to install Connect. 2. Find your wireless network from the list that appears, then click on it. 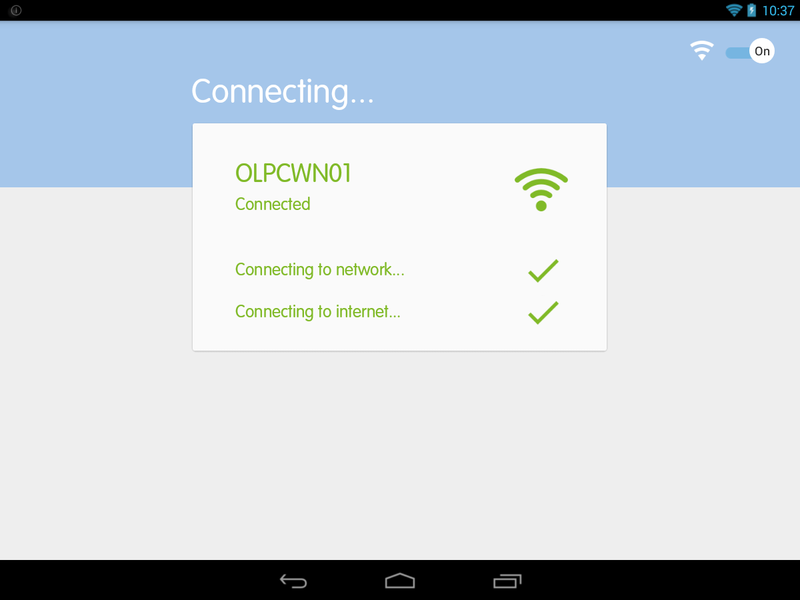 For this example I am connecting to the network OLPCWN01. 3. 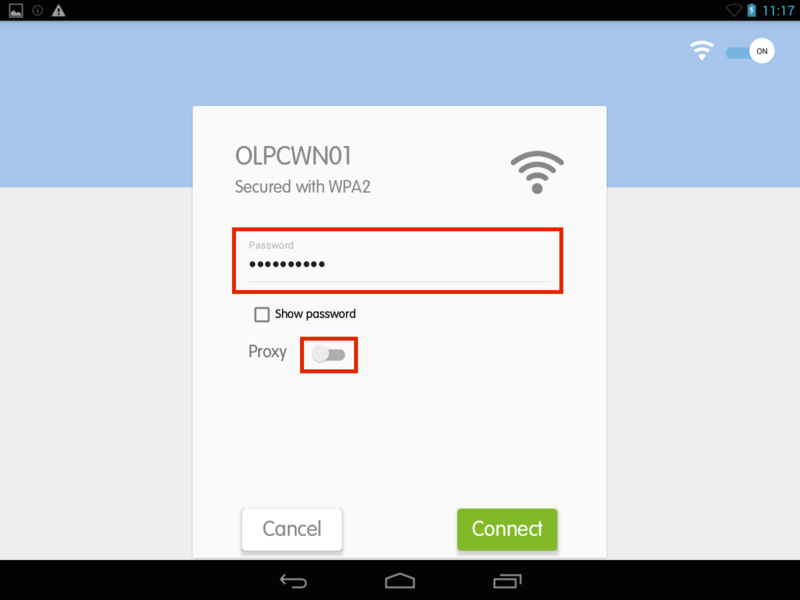 Enter your home Wi-Fi password into the password field and turn off the proxy feature by pressing the blue switch. 4. You can now press the Connect button. If you entered the correct settings you should be connected to the internet.